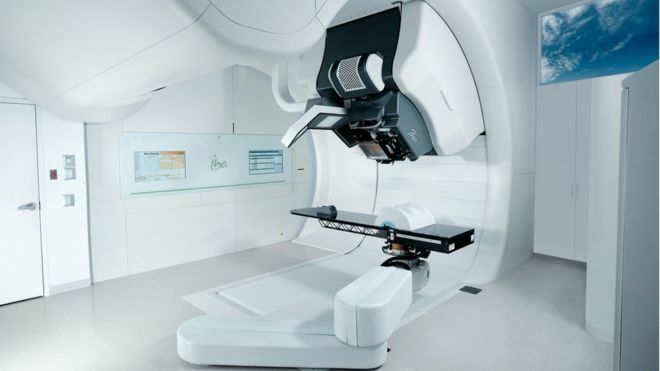 Craven Street Capital are extremely excited to announce that our client, Proton Partners International, has received the UK’s first high-energy proton beam therapy system at The Rutherford Cancer Centre in Newport. Proton Partners International is building a number of oncology centres across the UK named The Rutherford Cancer Centres and will install the same proton beam therapy system at its other centres which are under development in Northumberland, Reading and Liverpool. A key component of the UK’s first high-energy proton beam machine has been delivered to its new home in Newport. Proton Partners International (PPI) received the part that will fire the cancer-treating beam at its Rutherford Cancer Centre. PPI said the UK’s “most-advanced piece of cancer machinery” could transform treatment for 500 patients a year. Currently, only low-energy treatment is available in the UK for rare eye cancers. The Welsh Government said proton beam therapy will be available at the centre to NHS Wales patients with certain cancers “within the next year”. PPI chief executive Mike Moran said it was the “most strategic health project in this country in decades”. “It’s significant for the people of Wales to have high-energy proton beam therapy available,” he added. He said the treatment would “certainly improve” clinical outcomes and the experience for patients, who up to now have had to spend up to six weeks abroad to get proton beam therapy. The use of proton therapy was highlighted by the case of five-year-old Ashya King, whose parents took him to the Czech Republic for treatment for a brain tumour three years ago. After its installation, the machine will be up and running next year. PPI said treatment at the centre will be available to medically-insured private patients, self-paying patients and patients referred by the NHS. Proton beam therapy is a highly-targeted type of radiotherapy which can treat hard-to-reach cancers, such as spinal tumours, with a lower risk of damaging the surrounding tissue and causing side effects. About 140 patients a year are sent abroad from across the NHS – mostly to the US and Switzerland – at a cost of around £114,000 each. Experts have said the proton beam clinic in Newport could halve that cost, while also allowing patients to remain close to their families while receiving treatment. The Rutherford Cancer Centre opened in February and receives referrals for conventional cancer treatments. PPI is building three more proton beam centres in the UK – in Northumberland, Reading and Liverpool. The firm has received £10m from the Welsh Government’s Wales Life Sciences Investment Fund.